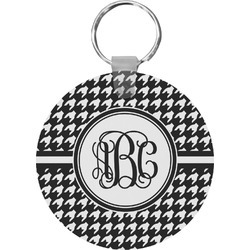 Round up your keys when they are lost in your bag or purse with our personalized round keychains. Give them as gifts or stocking stuffers to your coworkers, friends, and family. 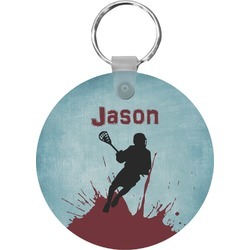 We have prints and colors that everyone will enjoy. 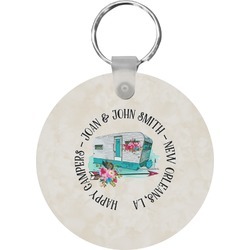 The keychains are durable and have a split ring with removable plastic snap so that you can take off the round piece without having to remove your keys for the keychain. Poor graphics. The design is also a poor representation of authentic Hellenic culture. 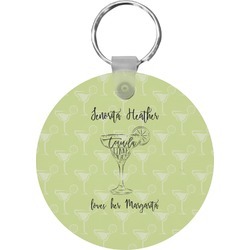 I liked it bc it matched the mats that I previously purchased for my car but it's a bit large to be dangling from my keychain. If it was smaller, then I would have loved it. Now, instead of it being on my keys, I have it hanging from my rear view mirror.. It works and I'm still a happy customer! Quick and good delivery. Easy set up instructions. Looks good and sister loved it.